2019 Isuzu MU-X Onyx edition showcased at the Bangkok Motor Show - India Bound? 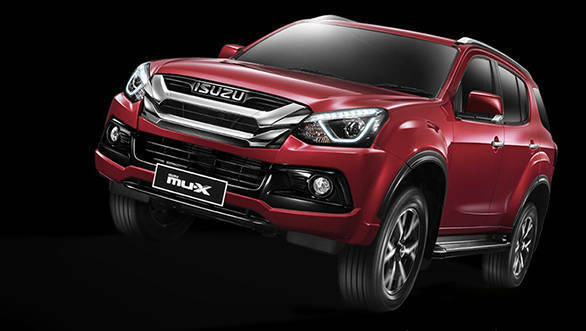 The 2019 Isuzu MU-X Onyx edition has been showcased at the Bangkok Motor Show and the seven-seater SUV at display carries minor tweaks in its styling than the current full-sized SUV on sale in India. The changes are cosmetic and the SUV is offered with two diesel engine options unlike the only 3.0-litre turbocharged diesel engine on offer in India. The exterior changes included a restyled bumper and a grille. 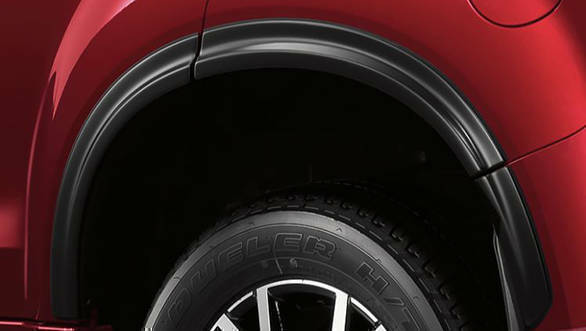 The sides get a thin body cladding to protect the flared fenders of the SUV. The outside rear view mirrors are body coloured and unlike the chrome finish on the India spec SUV. The Onyx Edition also gets 18-inch a redesigned alloy wheels and the tail lamps have LED inserts. Speaking of the feature list of the 2019 MU-X, the SUV sports ABS (anti-lock brake system) and EBD (electronic brake distribution) with the disc-brake setup on all four wheels. The MU-X also gets and ESC (electronic stability control) as well as traction control. The current SUV on sale gets a 3.0-litre diesel engine and produces 177PS and 380Nm of torque. The engine is mated to a six-speed automatic transmission with 4x4 as standard. 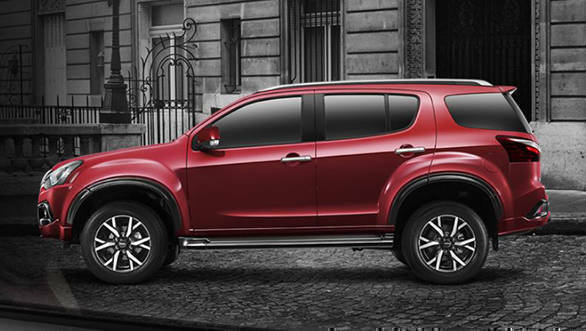 Internationally the Isuzu MU-X gets a 1.9-litre turbo diesel that produces 150PS and 350Nm of torque. The smaller engine is expected to make its way to India, however, it could be offered first in the Isuzu V-cross. Expect the facelift Isuzu Mu-X to arrive in the Indian market by the final quarter of 2019. Isuzu India recently announced a price hike on their commercial vehicles reason being the increased input and distribution cost, it is yet to see if the company does the same for its passenger vehicles.